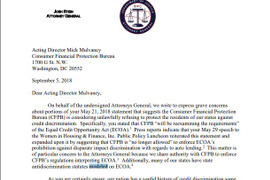 Attorney Eric Johnson fields questions about the state of the CFPB, the now fully staffed FTC, and the aggressive stance of state attorneys general. 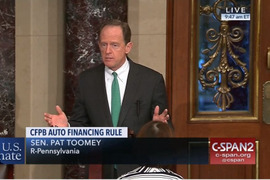 He also offers a critical update on the Military Lending Act. 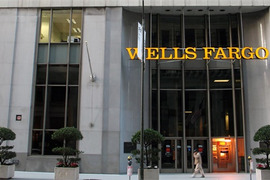 Wells Fargo's continued runoff of its auto loan portfolio resulted in a $10.3 billion year-over-year decline in auto loan balances in the second quarter, but executives said the bank is positioned to begin growing its auto finance business once again. 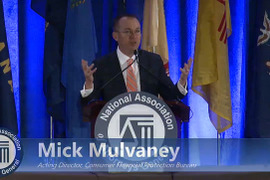 The CFPB official who went to court last year after Trump appointed Mick Mulvaney as acting director announced on Friday she is leaving the embattled regulator. 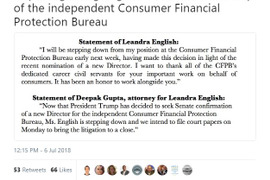 In a tweet, her attorney said the CFPB official is also dropping her legal fight to be the regulator's acting director. The president’s signature comes exactly five years and two months after the bureau put the auto finance industry on notice with its controversial guidance on dealer rate markups. As expected, the House approved the resolution of disapproval of the CFPB's guidance on dealer participation. With the Senate having voted on the resolution last month, all that's left to rescind the controversial guidance is President Trump's signature. Today’s vote leaves it up to the House of Representatives to pass its version of the joint resolution of disapproval. Once that happens, only the president’s signature stands in the way of the industry’s more than five-year campaign to get the CFPB’s controversial guidance repealed. BB&T announced its move about a week after the CFPB’s acting director stripped enforcement powers from the division responsible for pursuing discrimination cases in the auto finance arena. 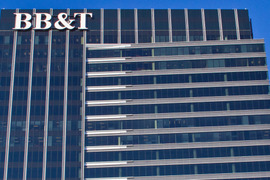 BB&T will officially make the switch on March 14. On Wednesday, the D.C. Court of Appeals ruled 7-3 that a provision in the Dodd-Frank Act that says the CFPB director can only be removed for cause does not unconstitutionally constrain the president. 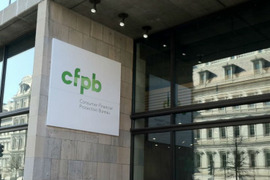 A federal judge denied a request by a high-ranking CFPB official for a preliminary injunction to remove President Trump’s appointee as acting head of the agency. The decision sets the stage for a possible appeal. 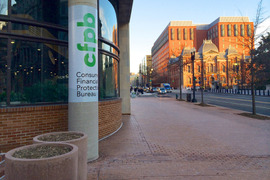 The editor debunks a few myths about the Consumer Financial Protection Bureau, then explains why the industry is on the brink of repealing the bureau’s auto finance guidance. The Government Accountability Office said on Tuesday that the bureau’s March 2013 bulletin on dealer participation falls under the Congressional Review Act, a decision that clears the way for the Republican-controlled Congress to repeal the bureau’s controversial guidance. 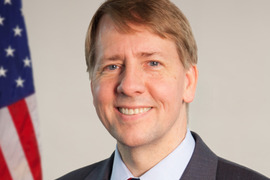 A former bureau official reflects on her time under former CFPB Director Richard Cordray, and explains why the industry shouldn’t be breathing a sigh of relief with his departure.